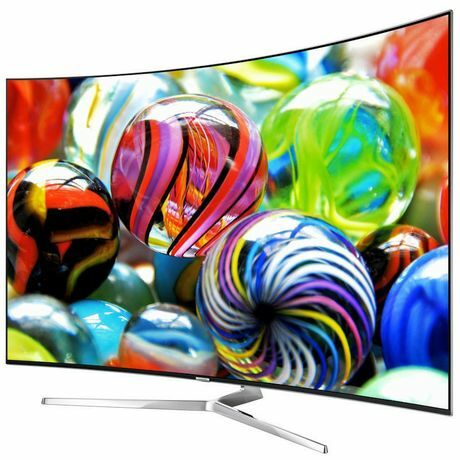 The Series 9 KS9500 Samsung television. SITTING in the state suite of a Sydney hotel watching Samsung's 65 inch KS9500 television, you can easily imagine how the 'other half' live. I'm watching a 4K Netflix documentary on hyper cars where a boutique manufacturer is talking about why anyone would pay a million dollars for a set of wheels. The answer is simple. They can afford it. It's the best technology around and they see it as a lifestyle investment, and a reward for achievement. 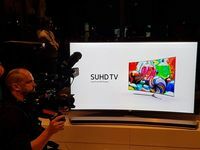 With price tags ranging from $4000 to $10,000 Samsung's Quantum dot SUHD televisions are out of the reach of many of us. 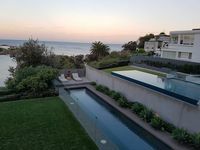 But if you have the money, they certainly offer one of the best lounge room experiences around, especially combined with the first ever Ultra HD Blu-ray player in the Australian market. In a darkened room, even without Samsung's soundbars, this is a cinema like experience. The display is stunning with colours that pop, the deepest blacks, very little reflection and viewing from almost every angle. Even with the TV turned off, this is one stylish looking piece of kit. High tech, design art if you like. The curved screen, which can be wall-mounted, sits on a slimline silver frame. 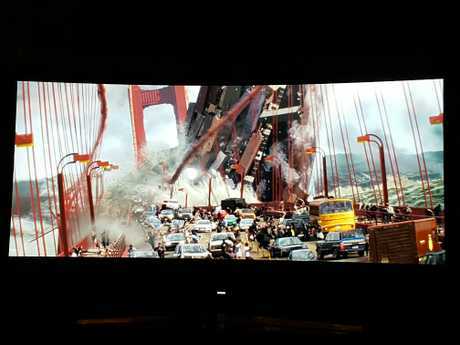 A scene from the HDR version of San Andreas on the Series 9 KS9500 Samsung television. My son and I put the television to the test with a range of ultra high definition movies including San Andreas, Creed, and the Maze Runner. The earthquake and tsunami scenes in San Andreas are incredible in 4K while you really notice the level of detail during close-ups on the stars. Even in the most fast moving action, there is no evidence of any lag or blur. Samsung's SUHD range boasts a peak brightness of 1000 nits for superb contrast between light and dark images. The TVs are especially designed for use in open plan homes where the use of its ultra black technology cuts down on reflections. Even with sunlight directly on the screen, there was little reflection or distraction. 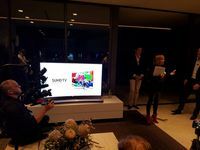 One of the biggest selling points of the television is its smart hub, which allows for easy navigation between different sources of content through an 'app' like on screen display. You can customise and manage your favourite content, including live TV, streaming services like Netflix and Stan, as well as YouTube, internet browsing, and even games. We had a lot of fun checking out photos we had taken in Sydney on the big screen and playing games from our phone. Even watching the Rio Olympics, via Seven's app on our phone, looked pretty darn good. 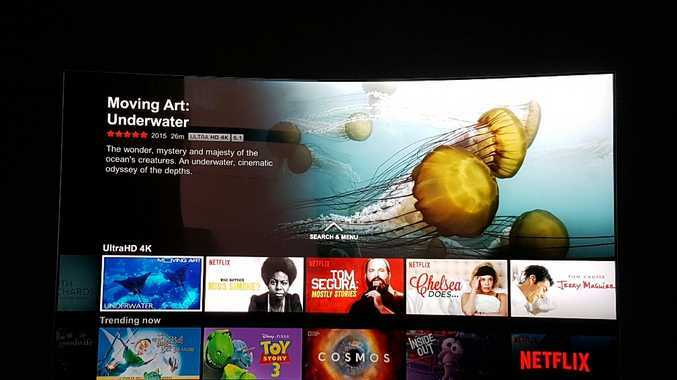 But checking out some of the 4K content on Netflix and YouTube is where you really see the stunning appeal of the display. We checked out eye-popping time-lapse video of flowers unfolding in the sun, underwater and Australian wildlife which made you want to walk into the television screen. The remote control was simple to use and had the added bonus of being voice activated so you could quickly search for content in YouTube without typing a thing. My only gripe was it was a little difficult to operate the buttons of the remote in the dark due to its design. Samsung's Ultra HD Blu-ray Player, the UBD-K8500, plays HDR compatible discs, offers up to four times the resolution of a conventional Blu-ray player. It features clever upscaling technology and which means even you will notice an enhanced quality even from standard Blu-rays and DVDs. 20th Fox has already released a decent line-up of movies, including The Martian and the Revenant. I'm not sure that I want to watch the bear attack scene in 4K though! 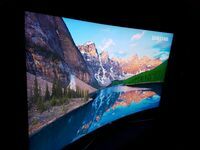 While there are cheaper options TV options around, offering similar picture quality, Samsung certainly has the runs on the board when it comes to television innovation. Online the 65 inch is available for under $4500 with the Blu-ray player half price at $298 in one detail. It's tempting.